At Scope Systems, our focus has always been on maintaining the highest ethical and moral standards when it comes to conducting our business. It’s on these foundations of corporate social responsibility (CSR) that we’ve been able to make significant changes to the way our business operates environmentally, making efforts to respect the natural environment around us. Having had the chance to build a workplace that has been described as “WA’s greenest office”, we have been able to demonstrate that taking a serious approach to our environmental sustainability is not only good ethical practice, but hosts numerous financial and non-financial benefits. Motion sensitive lighting in toilets and storage areas. High efficiency heat pumps for hot water. High efficiency 3 pipe air-conditioning system. Green power circuit – turns off all non-critical loads when no-one is present in the office. 70m skylight provides 80% of lighting needs. One of our primary goals was to have a zero net energy usage to support our day-to-day operations. 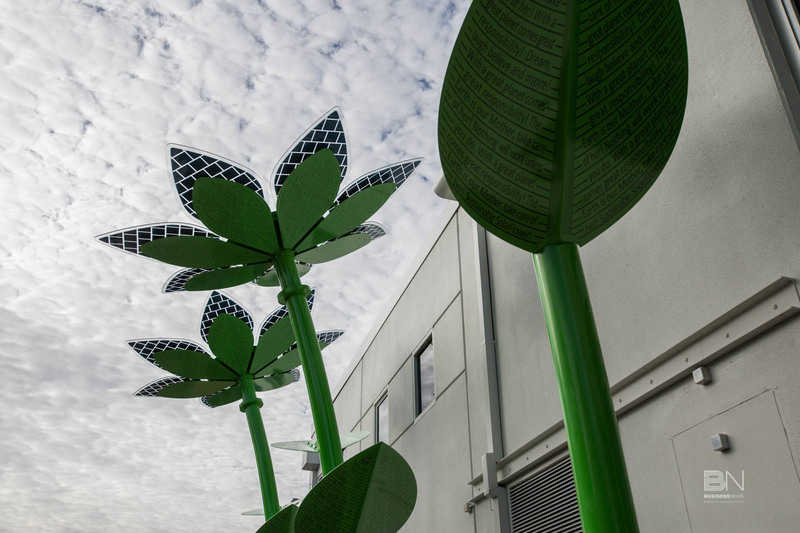 With the installment of a 98kW solar panel array on our rooftop, as well as our 3 solar flowers at the front of the building, the office is able to generate approximately double our daily energy needs. By running at roughly 106% of our daily use, any surplus energy is redistributed back into the Western power grid. 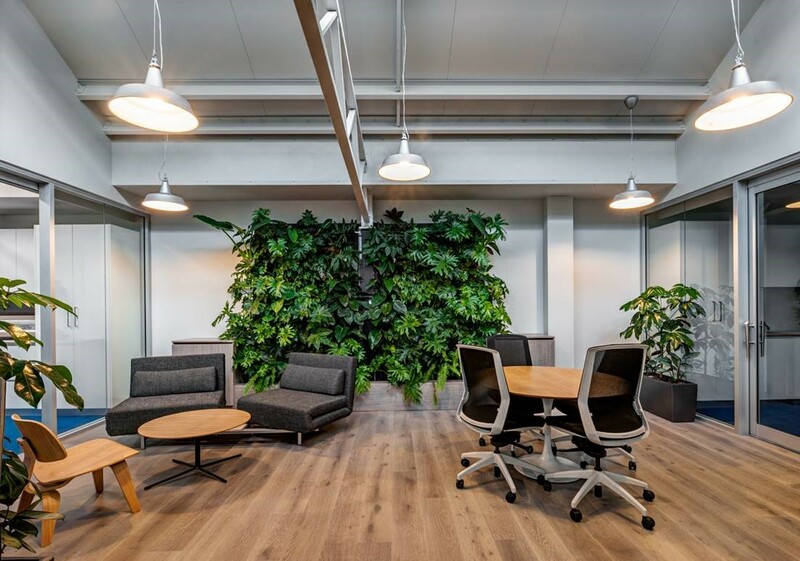 In three areas of the Scope Systems office you can find what we call “living walls”, filled with various kinds of plants. There are also dozens of plants scattered throughout the office. According to one study, the presence of abundant plant life in the office decreases stress whilst enhancing productivity by 12%. 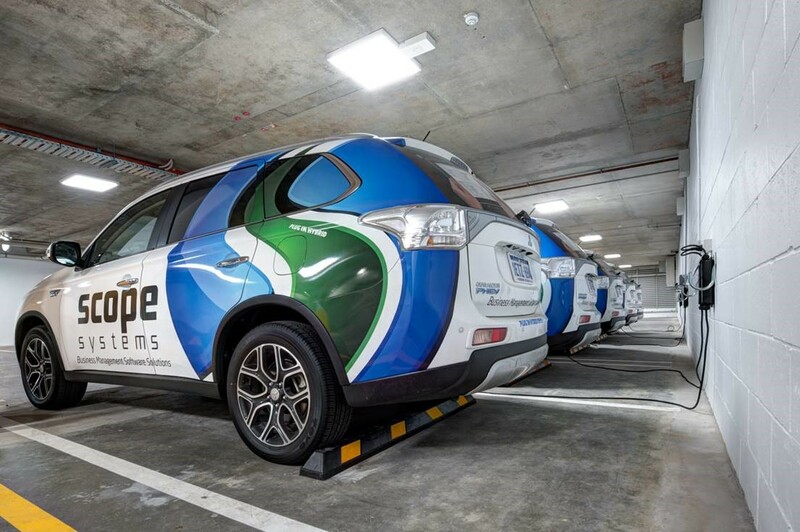 To capitalize on our generation of solar power, Scope Systems has a fleet of 4 hybrid electric cars. These environmentally efficient vehicles are available for staff to drive to business meetings and events, simply plugging them into our power grid once they return. Not only has this been great in terms of reducing emissions, it’s also been a great branding opportunity as well. Being located in-between two train lines meant that public transport for employees was not only available, but in many cases, a quicker way to get to work. To further encourage staff to commute via public transport, a reimbursement scheme was implemented. Under this scheme, staff who drove to work would be charged a daily fee for parking. This fee would then be used to reimburse those who commuted via public transport. With the vast majority of staff now traveling by means of public transport, our carbon footprint on an organizational level has been significantly reduced. While we are proud of our achievements in turning what could have been a fairly status quo working environment, into something that not only looks great but is truly sustainable, we are not finished with looking at ways to improve. With new advancements in energy efficient technologies, we will continue to do our part in reducing our impact on the natural environment. To know more about our Qlik products offering and training options, contact our Qlik team.